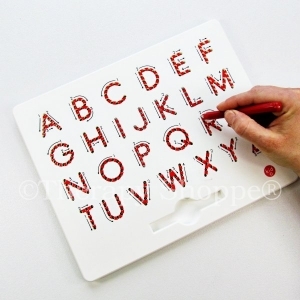 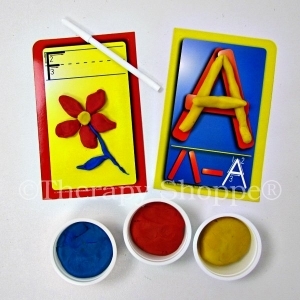 This very versatile fine motor alphabet letter kit offers a unique way to practice pre-writing, spelling, and sight word skills that are so important to becoming a successful reader. 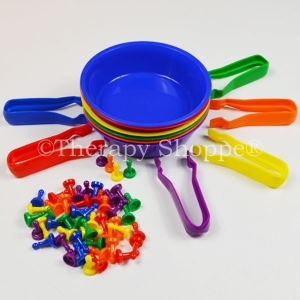 Splendid for building eye-hand coordination skills, pincer grasps, pre-writing, and visual motor skills, too. 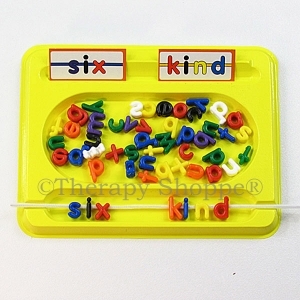 This smart teaching set contains: 4 special sturdy plastic letter trays, 277 chunky plastic manuscript alphabet letters with big holes for easy manipulation and stringing, 100 chenille (pipecleaner) stems, 218 color-coded word cards, 54 blank cards, and a resource instruction guide. 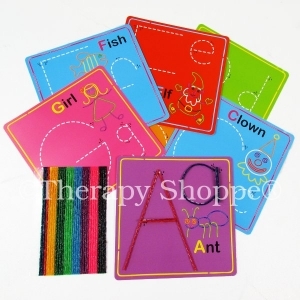 Children prop up the word cards in the sentence slot, select the correct letters and string them onto the chenille stems--spelling out words and sentences. 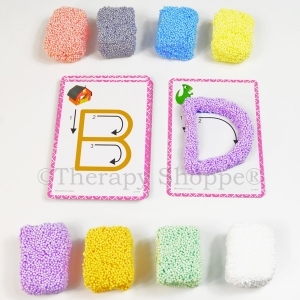 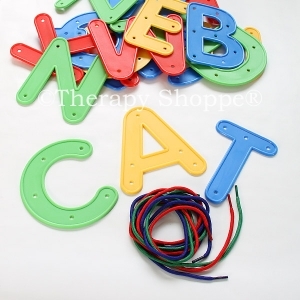 The alphabet letters also make great manipulatives for sorting, matching, color recognition practice, sequencing, stringing, tong activities, hiding in putty or shaving cream, and lots of other multisensory learning activities. 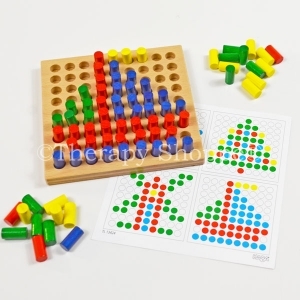 A great kit at a great price! 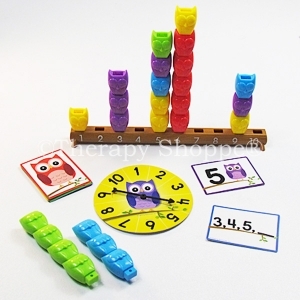 Designed for 1 to 4 players, ages 4-up.